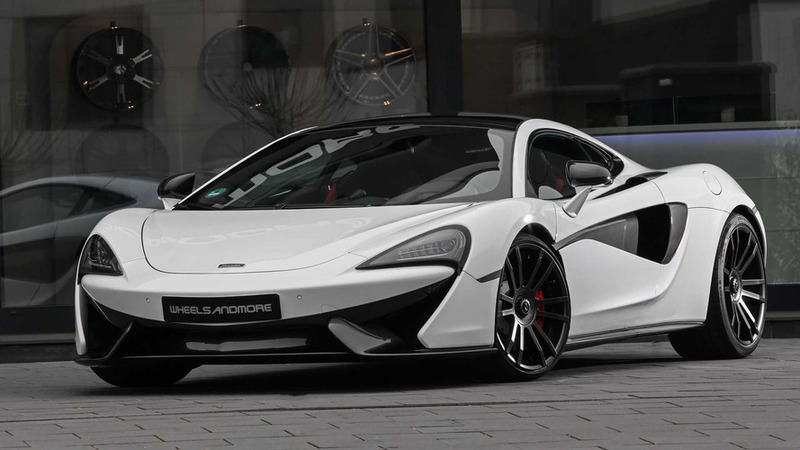 If you happen to own a McLaren 570GT and want it to have just about the same oomph as the beefier 650S, German tuner Wheelsandmore has just the right solution to your first world problem. Go to their shop located in Baesweiler and they’ll be more than happy to upgrade the biturbo 3.8-liter engine to 650 horsepower (478 kilowatts) and 700 Newton (516 pound-feet) meters of torque. Doing the simple math, that’s up by 80 hp (60 kW) and 100 Nm (74 lb-ft) compared to a standard 570GT, which means that it’s on a par with the 650S in terms of horsepower and actually has an extra 22 Nm (16 lb-ft) of torque. To squeeze the extra muscle from Woking’s V8 used basically on most of their models, the tuner has installed a low-pressure exhaust system and sports catalytic converters. Some software optimizations were also necessary to unlock the additional power able to shave off 0.3 seconds from the sprint to 62 mph (100 kph), now taking a mere 3.1 seconds or just one tenth of a second slower than the 650S Coupe. The top speed hasn’t changed, so take the 570GT to the max and it will reach 204 mph (328 kph). In order to live up to its name, Wheelsandmore has replaced the standard alloys with custom 20-inch front and 21-inch rear forged wheels wrapped in Continental tires and with a finish mirroring the 570GT’s original set. These new shoes are complemented by height-adjustable springs and a lift function to make sure you won’t scratch that expensive bumper whenever going over bumps. The tuner’s hasn’t messed around with the car’s design, so with the exception of the wheels, it looks just about the same as a standard 570GT. It’s up to you to decide whether that’s a good or a bad thing. 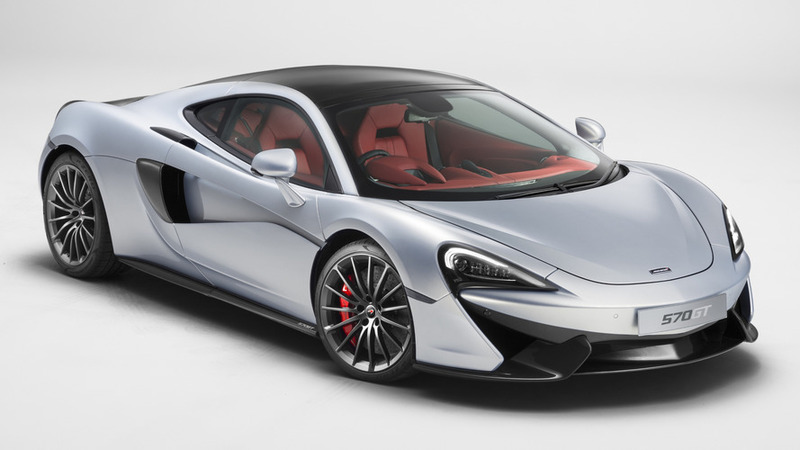 After the luxury refiner Wheelsandmore has already laid hands on the McLaren models P1, MP4-12C and the limited 675LT, the top model of the series MA3 follows with the 570GT. At first sight and for the layman the models 540C, 570S and 570GT hardly differ, in the detail and for the connoisseur reveal however fine, if not serious differences. When the McLaren 570GT was upgraded by Wheelsandmore, all the performance components were replaced what gave the impetus to the word-play of „horny and finesse“. With a standard 570HP and 600Nm the supercharged V8 tourer accelerates already fine, but for a performance tuner like Wheelsandmore there was no reason not to search for further power. By installing sports catalytic converters and a low-pressure exhaust system, which does not require silencers, the refiner adapts a dyno developed software, which generates a final output of 650HP and 700Nm of torque. After the modification the lightweight sportscar completes the sprint from 0-60 mph within 3.1s with unchanged top speed. For the suspension there was hardly any reason to improve the performance, so that the height-adjustable springs primarily benefit the overall appearance. The lift function on the front axle makes it possible to avoid expensive damage to the front spoiler and underbody.